Cop The Takeover (Carte Blanche Edition), the latest mixtape from Lil Twist, which dropped on Thursday, October 28th, 2010. Lil Twist's odds keep getting better with each new leak, and The Takeover (Carte Blanche Edition) will undoubtedly improve his chances of winning. It's a worthy addition to a respectable catalogue that has seen a lot of growth since Lil Twist debuted in this game. We're looking forward to the follow-up. The following artists are featured on the mixtape: Chu, Bei Maejor. The following producers contributed to the mixtape: J.U.S.T.I.C.E. League, K. Majors, KE, Darnell Robinson, Bei Maejor, Drumma Boy. What do y'all think of this mixtape? Visit our mixtape section to stream and/or download The Golden Child (Hosted By DJ Ill Will), a project released by Lil Twist on Tuesday, December 20th, 2011. It features songs such as Carte Blanche (Prod by J.U.S.T.I.C.E. League), Here Forever (Prod by K. Majors), Wind It (Shut The Club Down) (Prod by KE). 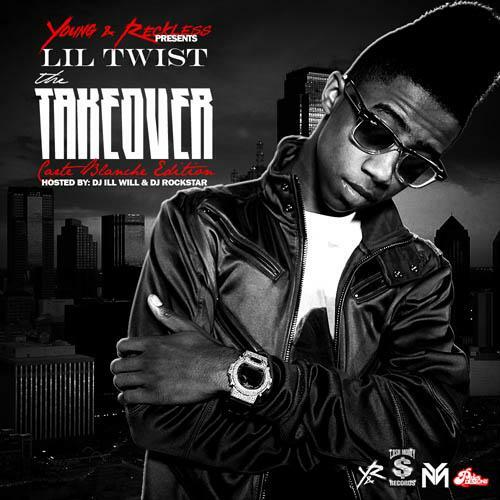 Hit up Lil Twist's profile page for the latest info, news, songs, and mixtapes. Don't forget to follow Lil Twist on Twitter.